Passwords stalk me. They chase me down at every turn. Turn to the right...password. To the left...another password. A password here. A password there. A password everywhere. They never stop! How is one to remember all those passwords? Here are some tricks to making complex passwords AND remembering them! 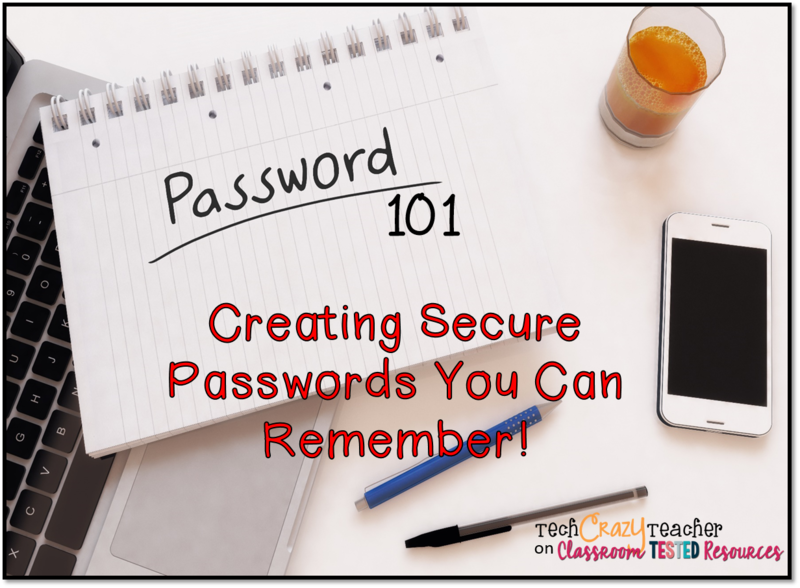 We have all learned that secure passwords are a combination of numbers, capital letters, lower case letters, and a symbol to top it all off. But how do we remember all of that gobbly goop? Oh, I know, write down on a sticky note and put it by your computer! Hardly safe! So how do you remember all of those letters, numbers, ad symbols for each and every site? Take a phrase like a favorite quote or a favorite scripture. It needs to be something you are familiar with. I like scriptures because they have easy numbers when you add chapter and verse. Once you have the phrase you are halfway there! Now we are going to turn it into a password. Let's use this quote from Dr. Seuss: Today was good. Today was fun. Tomorrow is another one. To continue to remember the password, say the quote in your head as you type the first letter of each word. Let's make the password a little stronger. Pretty good, but it still won't meet some websites' criteria. Add a symbol to the end such as an exclamation mark: TwgTwfTia1! Now that's a good password that I can remember! But is is only 1 good password, and I have a bazillion different websites. Here's what you do. Keep the same base password but amend it just a little for each website. Add the initials of the website the the beginning or the end of your password. For example, for Teachers Pay Teachers, I would put: tptTwgTwfTia1! adding "tpt" to the beginning of the password, and for Facebook, I could use this password: TwgTwfTia!fb by adding "fb" to the end of the phrase. My suggestion is to pick either the beginning or the end of your password phrase and stick with it so it is easier to remember your passwords. One more tip: Don't use this example! Ha! 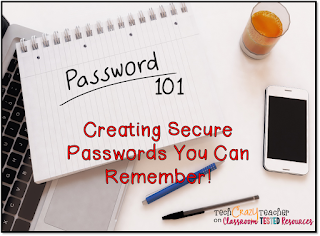 Do you have any helpful ways to create secure passwords and remember them? Thank you for sharing this! I am currently dealing with some identity theft and it is not a good time! I love this idea! Passwords are such a pain and I was running out of ideas on changing them. Thank you!! !